About 30% of undergraduate economics degrees given to US citizens and permanent residents go to women. Perhaps unsurprising, about 30% of the PhD degrees given to US citizens and permanent residents go to women, too. A sizable literature has tried to spell out possible reasons for these patterns. 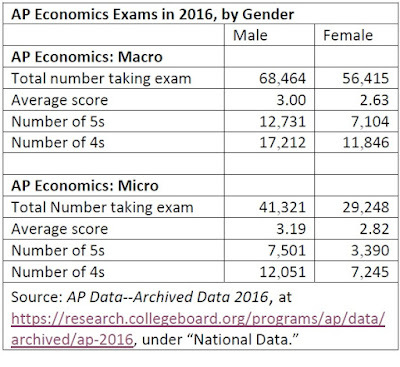 Here, I will point out that the underrepresentation of females in economic starts before college, and can be seen in the number of students taking the AP economics examinations in micro and macro. The data below is from the AP Data--Archived Data 2016 (scroll down to the National and State Summary Reports, and then look just at the National Data for the US). 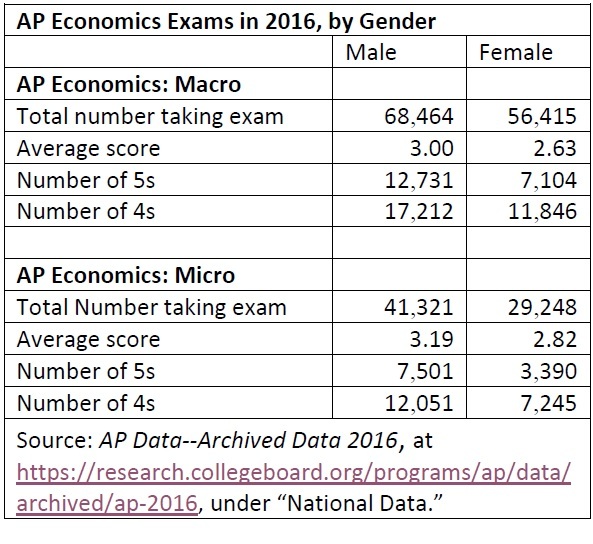 More male students take the AP economics exams than females, although overall, females take more AP exams than men. The scores of males are higher, and the number of males with a score of 4 or 5 on the exams is higher, too. I have no wish to overinterpret these numbers, but a couple of quick thoughts seem fair. 1) These differences suggest that among those high school students thinking about college, and thus taking AP exams, a greater number of males have an interest in economics than females. Moreover, a greater number of men have received positive feedback for that interest in economics--in terms of a high score. 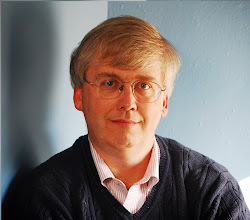 2) To the extent that many students who arrive in college have at least a fuzzy idea of the areas in which they might wish to concentrate already in place, colleges that want to move toward more gender balance in their undergraduate economic enrollments will need to overcome some patterns that have already been set in high school. If the pipeline of women who major in economics isn't expanded substantially, it will be difficult for the number of women who earn PhD degrees in economics to expand substantially.